When I was a little girl my mom made exquisite cakes. She made wedding cakes for almost every young couple in our church, only charging for ingredients and supplies. She made birthday cakes that would make your eyes roll back in your head with their sweet creaminess and goodness. Many of her cakes were fancy. 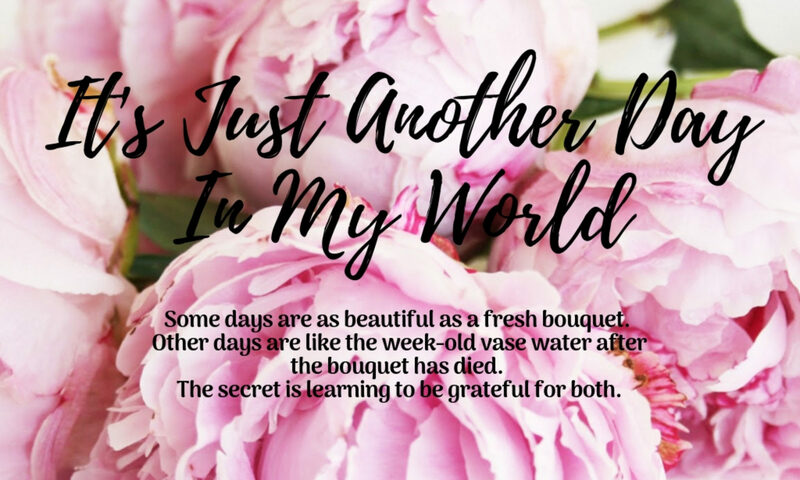 I recall driving all over Southern Illinois from craft stores to hobby stores to flower shops in search of a particular fountain. It was to go between the bottom and middle layers of a wedding cake and would run colored water through with a delightful trickling sound. This, of course, was pre-Amazon, pre-internet, and pre-express shipping days, so we drove around in the hopes of finding a shop with the exact fountain. She made Sweet 16 cakes and character cakes and really, just about any cake that the Wilton Cake Book pictured. She bought the yearly guide with the pages of new pans and new options and I would pour over the pages for hours on end, dreaming of the occasions in my life when she would make me these cakes. The funny thing is, I don ‘t remember ever having a character cake, a unique cake, or one that stood out at all. I have a picture of me with a Bert and Ernie cake, but if I didn’t have that picture, I would not have any recollection at all. No, my cakes were always white cake, with fresh strawberry filling, and buttercream icing. Buttercream was her specialty and she made the most beautiful buttercream roses. Mine were usually pink. They were beautiful and delicious and I love them, but they weren’t a castle cake. I feel like had I ever, even once, asked my mom for a castle cake, she would have made it. I saw her make castle cakes for other girls who had requested one from their mothers. So what was it in me that felt like I couldn’t ask? I wish I had an answer. But whatever it was, it was the same exact thing that kept me from asking for an American Girl doll. American Girl dolls came out when I was a little bit older, almost too old for dolls. But a couple friends received one for Christmas and I wanted one so desperately. But I never asked. I asked for all sorts of dolls my whole life and received almost every one I ever asked for. So what made me believe that the request for an American Girl Doll was out of line? I came to the recent realization that I often hold back asking God for the extravagant. I mean, really, he already gave me eternal salvation and life through his one and only son. How dare I ask him for more? It’s fine to ask for things relating to health and wellness, to my family, and to ministry…but to ask for something just for me? No way. That would be selfish. And selfish, I have learned, is a trigger word for me. I’m not sure yet where that word entered my fear based thinking. I have a couple ideas, a few tender memories that stir some discomfort. But I haven’t pinpointed the exact origin. I might not ever figure it out completely and that’s okay. Whatever the reason, I am now trying to get rid of that thinking. God loves me. He thinks I’m amazing. He looks at me and sees a prized creation; one he made in his very own image! God delights in me and he wants to see me delighted. So if I pray for ANYTHING that is on my heart and in his will, he will delight in answering me. The part about being in his will is the key. God isn’t going to start acting like a Santa in the sky who drops toys in my lap on holidays. But he does want to give me the desires of my heart when it matches his will. There have been a handful of prayers I’ve been too timid to pray. Prayers that seemed frivolous and silly. Prayers that felt too self-serving, even if in the long term they would benefit many others. But this summer I read two books that changed my perspective on how to pray. I read “Girl, Wash Your Face” by Rachel Hollis and “Eat Cake. Be Brave” by Melissa Radke. I also re-read “Of Mess and Moxie” by Jen Hatmaker. Please do not read any of these books and take every word to heart as Gospel or the theology that you should follow. I didn’t and I don’t. I don’t agree 100% with every word that each woman says. But that’s okay because we’re all a little different. (This is my disclaimer in case anyone wants to jump on me for anything. Don’t. I have no time or energy to argue with anyone about a book.) But what I did take from all of these books was a reminder that God sees so much more of me than bad choices I’ve made in the past. He doesn’t look at me and see the mistakes and mess ups. No, God looks at me and sees himself. He sees his one and only son who washed me in the forgiveness of his blood. He sees all the gifts and talents and abilities he has given me to reach out to the world in his name. So if I need to ask for help in managing those talents, if I need a boost in my abilities, or if I want to hone in on the craft of the gift he has placed in me, all I have to do is speak up! I am not selfish to ask for his guidance in this way. He delights in seeing me grow. He has given me what he’s given me so that I might use it. If I need help with the instruction manual, he’s right there with me! So, taking a bit of encouragement from all three authors above, and using the statement of boldness that Melissa claimed (I call her Melissa because I follow her in all the places and listened to her audiobook every morning last week while applying my makeup. It’s like we are already best friends), I am here to #statemybrave. I am going to be brave this year. When I turned 39, I proclaimed I would be the best version of myself when I turned 40. I made a few improvements, but my best self? I don’t feel I made it. I broke a lot of promises to myself that year. So 40 came and went and then 41 arrived and I started spiraling. Who am I even? Who have I become and what am I supposed to do? I have all these dreams, desires in my heart that I’ve been too afraid to ask for help with. I have so many things I am fully capable of doing but I haven’t believed I was worthy of taking the first step. No. Freaking. More. No more hiding. No more broken promises to myself. No more believing that I have to come last. I’m going to be brave. I’m going to chase my dreams and follow my heart, as it leads me closer to God’s will. I am going to put myself out there and not shy away. I am strong because the God of the universe lives in me. Without him, I would be nothing. With him, I am a warrior. I have enrolled in college. I’m starting over. I went to school for cosmetology right out of high school in 1995. I got my license and worked while I continued on, studying business. When my dad left and my mom committed suicide, I quit. I was only two months away from an Associates Degree. I have shamed myself for years over quitting. No more. I did what I did with the circumstances in my life. I was doing the best I could at the time. Now I’m doing the best I can with the way my life looks today. I’m choosing to be brave. Yes. Yes, it is wise. I want my son and daughter to see that it’s okay to believe in yourself. It’s perfectly normal to chase dreams God has placed in your heart. I want them to know that an education is valuable at any and every stage in life – no matter what you study! I want them to see that it’s never too late to make right a decision you regret and that there is no timetable for growth. I also want them to understand that God never leaves us. He never stops working in us. And he always calls us to be brave when the glory shines on him. So, this is my brave. I’m accepting donations to fund my education. Just kidding. Actually, I’m not kidding. I would accept it. But I’ll figure it out regardless. And I’m also accepting meals. And math tutoring. I told my advisor that what I believed in high school was true and not once have I needed a quadratic equation in my adult life. I really think it’s silly that I need to take one more stinking math class. He laughed. He actually laughs a lot at me; in a good way. But whatever, sometimes being brave means doing things that are hard. Math is hard for me. So is balancing life. So I’ll also be accepting your prayers. Being brave is also scary. But what I’m learning is that having courage doesn’t mean you don’t get scared, it means moving forward when things are especially scary or don’t seem to make sense. I am worthy of this though. God placed all the stuff in me for a reason and I am worthy of asking for his help in making it come to fruition. 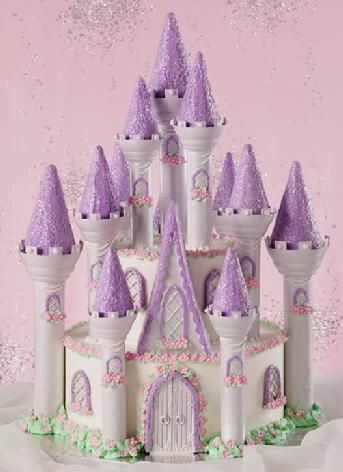 And for my 42nd birthday, I’m asking for a castle cake.